We here at Salon Muse require continuing education and training from all our stylists. You’ll find we keep up with the latest demands in fashion to satisfy the hunger of even the most trend conscious! We’ll design a look tailored to fit you and your lifestyle from duplicating a haircut that you find in your favorite magazine to recommending colors and custom styles that will enhance your skin tone and face shape.  Browse the bios of our team of talented stylists! We hope to meet you soon! My goal is to see my dreams in reality. Most of the images you will see on my website started as a day dream. After hours of detailing these dreams, I would either make the clothes or search for them at thrift stores. With the help of my friends and coworkers we played “dress up”. I would do the hair and makeup and with the help of photographers or my own camera “skills”, we created my beginning fashion and fantasy portfolio. I have spent years doing weddings, professional photo shoots, runway and winning competitions. My passion is teaching people the skills I have learned and the skills I have taught myself. With a little patience, practice, and the right products I believe anyone can create their own dream image of themselves, and I am happy to help. Come see me at Salon Muse, we’ll work together to create your ultimate look and I can teach you how to recreate it at home. With the right tools, products and skills we can all live the good life. Beau currently lives in Orlando, Florida and fits in perfectly with the high-caliber team at Salon Muse! 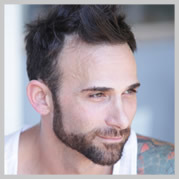 Beau has worked for prestigious worldwide salon corporations as Area Supervisor, General Manager and Master Stylist. As a native of Bartlesville, Oklahoma, Beau began creating the hair art for Tulsans in 1998. Beau is the owner of Z Studio, located in Tulsa, Oklahoma and travels to Tulsa at least once a month, working behind the chair at Z Studio. Beau has been internationally trained, including courses in the US, Canada, Mexico, Europe and China. He has experience using several elite color lines, giving him an extensive knowledge of color and its chemistry. He specializes in identification of the perfect highlight or permanent color for each client and has perfected the application of color and highlights for the longest-lasting results. More than his color, cutting, and styling technique, Beau prides himself most on making you feel great while you are in his chair. He’s been named Best Stylist multiple times by multiple publications and his appointments are in high demand. When away from salons, he most enjoys spending time exploring new travel destinations. Here’s an interesting fact: Beau trained and showed championship Paint and Quarter horses most of his life and has won multiple world championships. 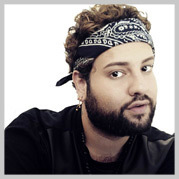 He attended college in Kansas with a major in vocal performance and was the winner of KOTV’s “Gimme The Mike!” – a local vocal competition television show that aired in 2006. We are so happy to have him here at Salon Muse, and if you are one of his clients, then you’ll know why! 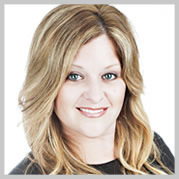 With over 21 years in the beauty industry, Bonnie brings her expertise and attention to detail to her guests everyday. Along with her experience behind the chair, Bonnie has extensive training in hair cutting and styling, hair coloring, and different highlighting techniques. Bonnie specializes in wig cutting, color and custom styling. Having worked with some of the top names in the industry such as Redken, Chi, Wella, Pivot Point, Schwarzkopf, Pravana and Goldwell. She even had the opportunity to attend The Wella Institute in NYC, as well as attending product knowledge classes regularly so you will be well informed on the latest products for your hair. Bonnie prides herself on keeping up with the latest trends and techniques. She is constantly learning, growing and perfecting her craft. A former University of Central Florida and an Aveda Institute graduate, she realized her true passion lied within the hair and makeup industry. With over four years of experience, her craft is anything color related; from special event makeup applications, beautiful dimensional color, and complete transformations through color corrections. Her long-term love for fashion keeps her up-to-date with the latest in hair and makeup trends. She also travels on location for weddings, photo shoots and print work. Sarah has had a passion for the hair and beauty industry most of her adult life. She has been licensed for more than 12 years in two different states. Originally from Michigan, she got her start with the Douglas J Aveda Institute. She then continued to work and color specialize through the Douglas J Salon. Upon moving down to Florida, Sarah looking to work with an herbal based line, found Tocco Magico. It is the oldest Italian Color line in the word. They began in 1938 and have adapted through the years always striving to maintain the integrity of the hair as well as deliver beautiful coverage and vibrancy during the color process. Now Tocco has even introduced Freelux an ammonia free, PPD free, Resorcinol free permanent coverage. Sarah soon began as an educator for Tocco. Her passion and love for hair always growing. She travels all over the state to share her passion with others in new and continuing education. Sarah stays on the cutting edge with the newest products and services available in order to bring the highest quality and excellent service to her clientele. If you’re looking for more than just cut and color, Sarah also specializes in Hot Head extensions, special occasion updo’s, and Makeup application. In her spare time, she loves to do anything creative or crafty. She is an avid music lover and days at the beach don’t come enough. But, no matter what, she loves to have fun, relax a little, and laugh a lot. With 15 years of industry experience, Joel has cut, colored and styled hair from London to Los Angeles. He’s had extensive professional training with the best in the world including Bumble and bumble in NYC, Vidal Sasson in London, and apprenticed under the international Wella artist, Joe Blackwell. 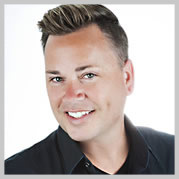 Joel’s a former salon owner and an industry educator, educating nationwide for Goldwell and Paul Mitchell. He specializes in celebrity hair styling, extensions, color/correcting, keratin treatments, and trending cut techniques. 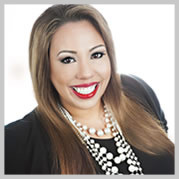 Nikole Burtnett, an Orlando native, graduated from cosmetology school in 2001 and Joe Blasco Makeup school in 2007. Nikole was a network educator for Bumble and Bumble for two years. 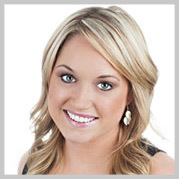 She is passionate about continuing her education in order to bring her clients the best and the latest style and color techniques. Nikole enjoys doing high-lights and color and can give every hair type the perfect blow-out. She also specializes in cutting techniques such as thinning or razoring. 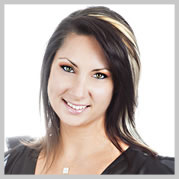 With many years of experience, Nikole has the skills and passion to give you the perfect hair. Born in Mount. Sinai hospital in the Big Apple on October 10 1988, Abraham Tosado has always had quite the artistic eye. His father Abraham, reigning from Caguas, Puerto Rico was a self-taught artist, who immediately saw the potential his son had for the arts. His mother Ruth, from the Bronx, New York also noticed his talent and would constantly buy him colored pencils, crayons, and artist books to keep him intact with his creative state of mind. At the age of 10, Abraham had his first piece of art shown in Winter Park’s Sidewalk Art Festival, which he placed first, the piece was named Outrageous Hair. Always having a passion for art and hair alike, Abraham’s art grew into a City/ Glamour street vibe. In high school, Abraham was really trying to figure out what his future intended. With only having 3 classes in his Senior Year, Abraham decided to enroll in Cosmetology at Westside Tech. Realizing his passion for hair, Abraham graduated Winter Park High School and went head in first to finish his Cosmetology degree. Since then Abraham has worked in all fields of the Beauty industry, working on hair and makeup for the Premier Hair Show, as Management in Sally Beauty Supply, which helped him truly understand the ins and out of beauty products and what there functions are used for in different types of hair and skin. As a MAC makeup artist that has helped him understand different techniques in Cosmetics. Abraham now works at Salon Muse as one of our top Stylist/ Makeup artist. He is extremely knowledgeable in new techniques like color melting, shadow rooting, balayage, and ombre. He loves to beat those faces and creates a new take on any glamour cosmetic technique. He is still very lively as a local Orlando artist; you can catch his work in the heart of downtown on occasion. He is a true artist in every shape and form. Very sweet and understanding, Abraham will take great care of your lovely locks! He also loves long walks on the beach and dinner by candlelight, if you’re interested in making his week! 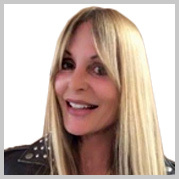 Laura Kelley worked at Bangz Park Avenue Salon for thirty-four years since it opened in 1983 until 2017 when she decided to join our team at Salon Muse. Prior to this, she attended Vidal Sassoon Academy in London twice, for the advanced cutting course and avant-garde cutting course. She has trained with a top European barber and has a 50% male clientele. She has perfected her own highlighting method using a pivot point technique, which creates a natural highlight that grows out without a heavy root line. She has been to extensive advanced coloring classes and trained with many color lines including Schwarzkopf and Wella. Many of her clients have been with her from her first years at Bangz. Hairstyling is her passion, and she is experienced in any style from avant-garde, to bobs, to very long hair, and anything in between. She has also had training working with naturally curly hair, using cutting techniques that sculpt the hair according to the natural curl pattern. Listening to her clients’ desires is of utmost importance to her. While maintaining professionalism, Laura makes a point of getting to know her clients on a friend to friend basis, and since she became a hairstylist to help people feel good about themselves, she makes sure her clients are confident with their new looks. On her free time, Laura reads, draws, makes jewelry, and dabbles in anything artistic. She also collects and sells antiques, and rides and shows her two horses. Dale Dees is regarded as one of the foremost and most recognized hairstylists in the world, appearing on national television and the subject of a PBS documentary on the hairstyling industry. Dale earned a gold medal in the 2008 Hairworld Championships in Chicago, out-performing nearly 60 competitors from 15 countries around the world and becoming the first American and first African American to win the title in a quarter century. 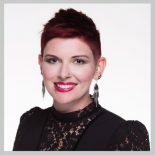 Dale has been on four USA Olympic hair styling teams and served as the FASHION TEAM TRAINER in 2010, 2012, and 2015. Dale appeared on NBC’s TODAY Show on March 13, 2008 and wowed hosts, Matt Lauer and Meredith Viera, and millions of television viewers around the country with his artistic skills and prowess. He also has been a frequent guest on NBC’s I Village Live, and made appearances on the Home Shopping Network performing live makeovers. During his HSN appearances, Dale boosted sales doing demonstrations with their newest hot tools by CONAIR. His success on the network continued when he was selected to showcase DANCING WITH THE STARS hair pieces live, showing viewers how to use the pieces in fun and exciting ways. You can also catch Dale on THE DAILY BUZZ as a beauty expert sharing the latest beauty and hair tips. 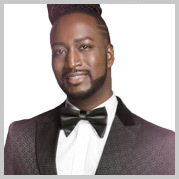 He has also been the featured hair and makeup artist for the STYLE NETWORK’S popular show “WHOSE WEDDING IS IT ANYWAY.” Earlier in his career, Dale was highlighted in a 2006 documentary on PBS entitled Hairworld: The Pursuit of Excellence. As a renowned hair and makeup stylist, Dale Dees caters to a variety of clientele, including brides, models, TV personalities and a myriad of clients who have followed him throughout his career. Fusing bold color creativity and a passion for all things imaginary and unique, Dale secures his niche with his elegant, contemporary hair and makeup designs. Dale Dees was the owner of Dale Dees the salon for 10 years and has dedicated himself to perfecting his technique over the past 19 years. Take your look to the next level. Ann Marie is a dynamic stylist with drive for innovation, a passion for edgy, unique cuts and colors with stunning flow and definition. A creative and detail-oriented hair stylist, she uses her passion for hair, her education, experience and self confidence to earn the trust of her clients, to commit to understanding their needs, building strong relationships and sharing products she loves. Ann Marie specializes in cut, color, Balayage, Extensions, and Hair Botox smoothing treatments. 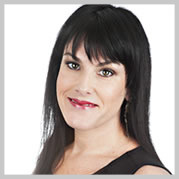 She consults and informs clients about the latest trends, while advising them on the best suited hair styles. Ann Marie styled hair for the Orlando Magic Dancers during the 2017/2018 season, her work has been featured on Modern Salon Magazine’s Instagram, she was a RAW Artist featured Stylist in 2018, as well as representing Daytona State College’s Cosmetology Department as a model for all of their 2012/2013 marketing. Ann Marie spent months apprenticing under Elite stylists, including Paul Mitchell educators and Vidal Sassoon trained stylists. She has also attended Pravana, Wella, Martin Parson, TONI & GUY and numerous Kerastase, Bumble & Bumble, Oribe and Aveda workshops and classes. As a mother a two daughters and an avid yogi she strives to never underestimate the power of a touch, a smile, a kind word, a listening ear, an honest compliment, or the smallest act of caring, all of which have the potential to turn a life around.